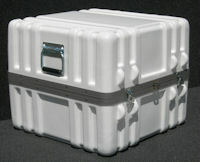 Parker Shipping Cases - SC Series filled with foam. 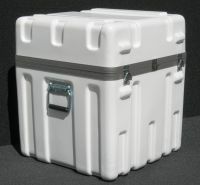 The SC Series is the Standard Case filed with 2" foam sheets. 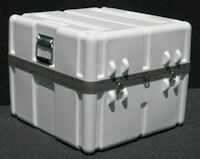 Parker transit cases features include male/female closures, rubber gaskets to seal out dirt and moisture, full length heavy-duty piano hinges, quarter-turn military style latches and spring-loaded handles. 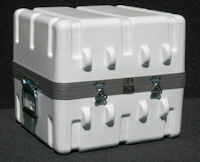 All cases can be padlocked. 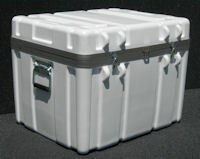 Foam filled with 2" sheets of foam. 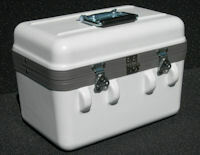 Male/female closures, rubber gaskets to seal out dirt and moisture, full length heavy-duty piano hinges, quarter-turn military style latches and spring-loaded handles. 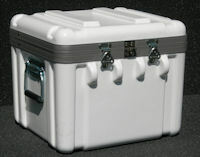 All cases can be padlocked. 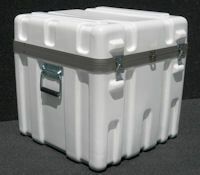 Now in a variety of over 75 different sizes. 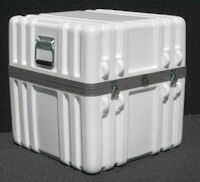 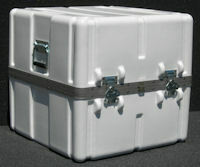 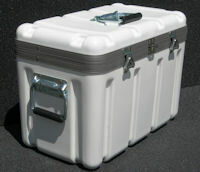 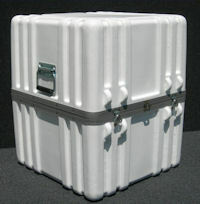 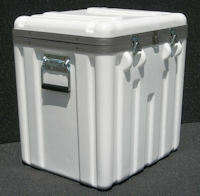 These rugged-duty containers are constructed of high density polyethylene to provide a safe, economical way to ship valuable electronic devices, personal computers and peripherals, cameras, video equipment and other sensitive equipment. 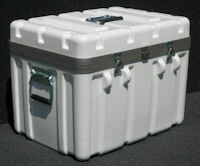 These cases meet ATA spec 300, but are only water-proof not water-tight.